We offer a full line of strapping and strapping accessories. If you need the strength of steel strapping, we've got it. We also offer economical options: polyester and polypropylene strapping. 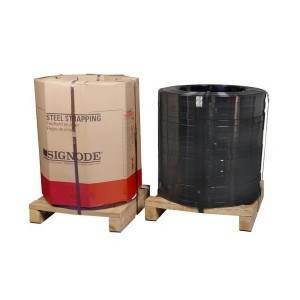 We offer a comprehensive line of strapping tools, such as Signode tensioners and pneumatic tools. We also offer the seals and accompanying sealers for your strapping needs. Do you know who to call for strapping tool repairs? Are you thinking of switching from steel to poly strapping? Now's the time.